of the first places open for business. 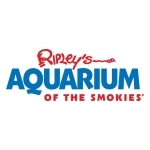 General Manager of Ripley’s Aquarium of the Smokies. favorite places are still here and ready for business,” DeSear said. The Aquarium is considered by many to be the heart of the community. pride in what they do,” DeSear said. in 12 countries each year. In addition to its 32 Believe It or Not!